An injury to the coronary band can have long-lasting effects, from a small blemish, to disrupted hoof growth and permanent disfigurement. The coronary band, which is located at the junction of the leg’s hairline and the hoof, provides the majority of nutrition to the hoof and is the area from which the hoof grows. For this reason, wounds to the coronary (or coronet) band can be detrimental, leading to permanent disfigurement of the hoof, lameness and, at their worst, even disrupting hoof growth to the point where the horse is unusable. “It could be a minor blow or severed by a wire cut or something like that – that’s where the hoof growth originates from, so, you’re going to get a permanent blemish there,” said Dean Sinclair, coordinator of the Olds College Farrier Science program in Alberta and a farrier for 36 years. “The coronary band is just like the cuticle in our fingers. If, for instance, hit your thumb with a hammer, you’re probably going to have a permanent ridge or blemish in your nail. It’s the same sort of concept,” he said. To understand how injury can impact hoof growth, it helps to know what the coronary band is comprised of and what it does. Inside the coronary band is the coronary corium. This tissue is full of blood vessels that feed the hoof wall. As new cells are produced in the corium, they are gradually pushed away and die. This process creates a hard tissue that is comprised of keratin, a protein also found in skin, teeth and the nails of humans and other animals. The hard growth emerges at the papillae, long, hair-like projections of the corium that deliver nutrients to the hoof wall through horn tubules, which grow from the coronary band to the ground in a spiral configuration. Other cells containing keratin grow from the sides and base of the papillae and effectively glue the horn tubules together creating what’s called intertubular horn. 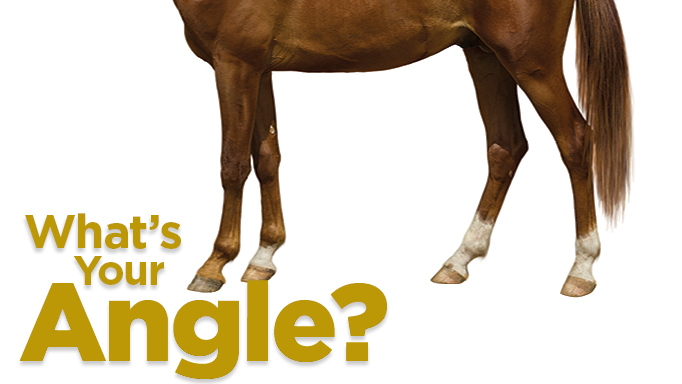 This framework is what gives the hoof its strength and elasticity. Overreaching – The back hoof connects with the foreleg below the pastern, often slicing into the heel bulbs or the coronary band. Avulsions – When part of the hoof wall is torn away from tissues underneath – usually involving the coronary band. A complete avulsion is when the wall is totally detached and a partial avulsion is when the wall remains attached. First Aid Injuries in this location often bleed profusely, due to the rich blood supply to the coronary band. Do not apply powders or ointments to stem the flow. Control bleeding with a pressure bandage of clean gauze. If the bleeding continues, place another bandage on top of the first. Wrap a self-adhering bandage (i.e. Vetrap) or tape around the gauze to keep it in place until the veterinarian arrives. Do not apply bandage or tape directly to the coronary band.For less-serious injuries, the wound is cleaned, treated and left to the owner for after-care, which usually includes wrapping in a hoof bandage for a period of time.The horse should remain in a clean, dry stall or paddock to recuperate.”You’re never going to mend that foot. It’s never going to be right,” said Sinclair. “There’s usually going to be some fissure or crack. Some can be quite severe and some are clearly just a little ridge.”A farrier should be involved in ongoing treatment. 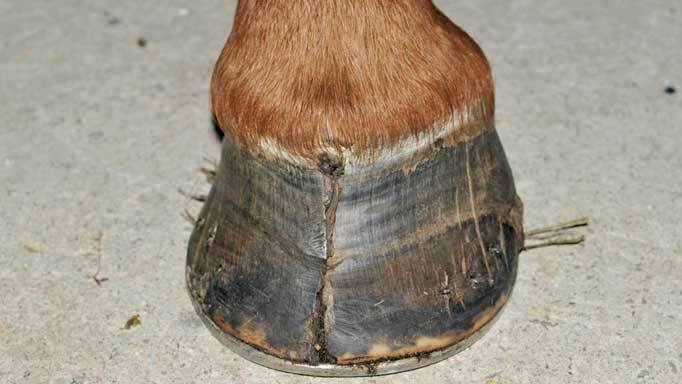 Special horseshoes, trims, clips and acrylic or polyurethane compounds can be used to support the hoof during regrowth. “Depending on the severity of the crack, you’re either going to have to keep that horse’s hooves fairly short, so there’s no extra pull or leverage, on that crack or blemish, or keep a shoe on there permanently if it’s a severe crack,” said Sinclair. Other Conditions Affecting Coronary Band Abscesses are bacterial infections of the hoof laminae – the sensitive tissue that suspends the coffin bone within the hoof. 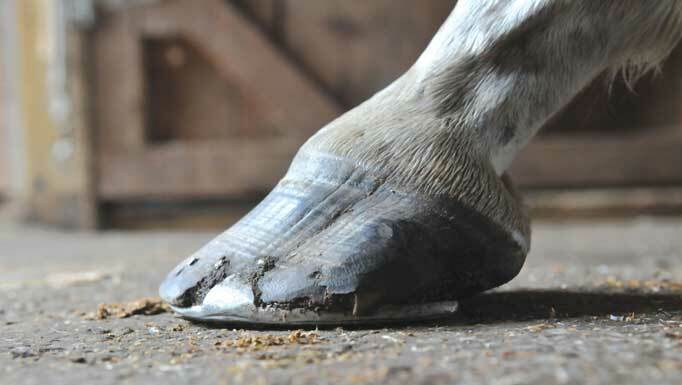 Causes include small foreign objects such as stones or debris that penetrate through the sole, punctures, wayward shoe nails or bacteria migrating into the hoof through fissures in the white line.Symptoms include lameness, heat, increased digital pulse and soreness upon application of hoof testers. A veterinarian or farrier can sometimes locate the area of infection and create a hole to drain the abscess. If this isn’t possible, soaking the foot in warm water and Epsom salts followed by poulticing once or twice a day will allow the infection to break out. Quittor can be mistaken for an abscess, but an abscess differs in that once it begins to drain, it dries up quickly and heals completely, whereas, with quittor, the wound doesn’t stop oozing or it dries up and keeps reoccurring. Surgery to remove damaged cartilage is usually recommended and successful.Another extremely rare condition, coronitis, is a form of the auto-immune disorder, pemphigus foliaceus, where the body rejects its own tissues, targeting the skin and mucous membranes. Coronitis creates crusting, flakiness and tenderness on the coronary band, ergots and chestnuts. Other signs include general ill health, depression, weight loss and fever. It seems to affect Appaloosas more than other breeds and is incurable. Treatment includes corticosteroids and is not generally successful.While it is difficult to prevent coronary band injuries, there are some measures horse owners can take.With good treatment and follow-up care, most horses who have sustained coronary band injuries will eventually return to their previous level of activity. Although hoof wall growth will likely always be abnormal, the good news is that, in the majority of cases, it will prove more unsightly than detrimental.Researchers at the Western College of Veterinary Medicine in Saskatoon, Saskatchewan, are studying how to use tissue grafting to improve and speed healing of wounds that affect the coronary band and hoof.”We use full-thickness grafts in other horse injuries and it is very common in small animal and human surgery,” he added.Researchers surgically removed a patch of skin and hoof at the coronary band from the right and left limbs of five horses. One patch was sutured onto the created wound site on the other foot on the same horse, while the second flap was transplanted onto the wound site on another horse.Although the hoof horn that resulted was not normal, the grafting was successful and no full-thickness cracks appeared. The results suggest grafting is a possible treatment option for coronary band injuries. Dr. Carmalt and his team are continuing research into developing the technique for clinical applications. The limbs were placed in foot casts for a month. Then the horses were turned out in paddocks for nine months and were monitored for hoof growth in the grafted and non-grafted areas. The procedure examines two different types of grafts at the coronary band – an autograft (from the same horse) and an allograft (from one horse to another). “We expected that autografts would be successful and that allografts might be useful,” Dr. Carmalt said. “Grafting, in this context, means the movement of a piece of normal coronary band (from another location) to the site of injury. This then gets accepted by the damaged site (in a process known as graft take) and starts to produce normal horn at the damaged site,” said lead researcher Dr. James Carmalt. For horses that overreach, bell boots can help during turnout, exercise and trailering. Also keep turnout areas, barns and stalls free of debris that can hurt horses. Fix damaged fences. Proper and regular trimming from a qualified farrier is also key to averting injury in this area. Daily examination of the hooves allows for early intervention if there is damage to the coronary band. Coronary band dystrophy (or dysplasia), causes inflammation of the coronary bands of all four hooves, leading to scaling and sometimes crusty sores that bleed and ooze pus. It appears to occur more in drafts than other breeds. There is no known cause. Quittor is a not-so-common chronic bacterial infection of the lateral cartilage in the coffin bone. It is caused by a penetrating wound at the heel bulb or side of the foot, but the spread of infection results in a characteristic discharge of pus at the coronary band. The fluid accumulation resulting from the infection causes pressure and pain as it accumulates in the inflexible hoof capsule. The fluid follows the path of least resistance and eventually breaks and drains from the sole or, in some instances, it travels up the hoof wall and bursts through the coronary band. At this point, the horse usually experiences immediate relief from the reduction of pressure. Some conditions occur at, but aren’t necessarily caused by injury to the coronary band. Like wounds, they too, can cause long-term or permanent defects to the hoof horn. With an average growth rate of about three-quarter-inch per month, a fully new hoof will be produced in about a year. In the majority of cases, lasting damage is superficial. “I’ve shod a number of horses over the years that have had some sort of permanent blemish in their hoof wall, being quite severe or being a minor ridge along the wall. Generally it’s more of an appearance thing,” noted Sinclair. Cracks that involve the coronary band can be painful if they become inflamed and infected. “They can certainly cause lameness,” he said. But more serious wounds might require surgical intervention such as debridement (cutting off excess tissue), suturing and casting of the foot for three weeks to a month to minimize movement at the wound site, speed healing and minimize the production of proud flesh (excessive granulation tissue). The veterinarian will examine the wound’s depth to determine if it has reached underlying bone, ligaments or tendons, veins and arteries. Pain killers, antibiotics and/or tetanus shots might also be administered. The wound should be cleaned gently with water – a light cold hosing is perfect. Leave alone any loose skin that remains. Injuries can be complicated by the loading and unloading of the hoof, which results in constant movement of tissues, the risk of contamination and infection due to the proximity to dirt, manure and other debris, plus compromised blood flow to the hoof. To achieve the best outcome, these wounds should be managed early and a veterinarian called right away. I would like to contact Nicole. I am from Australia and have a horse with a bad hoof injury. 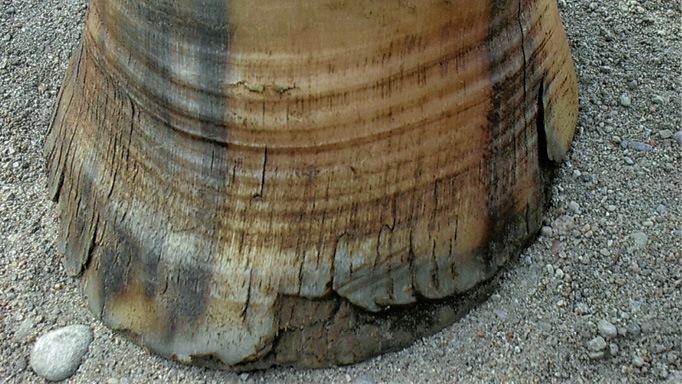 The coronary band destroyed in an area and hoof. The grafting sounds like an option. Not sure in Australia if anyone is doing this would Nicole know anyone.